5 Day Tropical Weather Outlook map from the NHC showing the high chance of development for invest area 93L. Click or tap for full size. The NHC has upped the chances of development for 93L to 80% now. Upper level winds are just favorable enough for it to organize more and with the system over very warm Caribbean waters, it won’t take much for it to become a depression or storm later today. 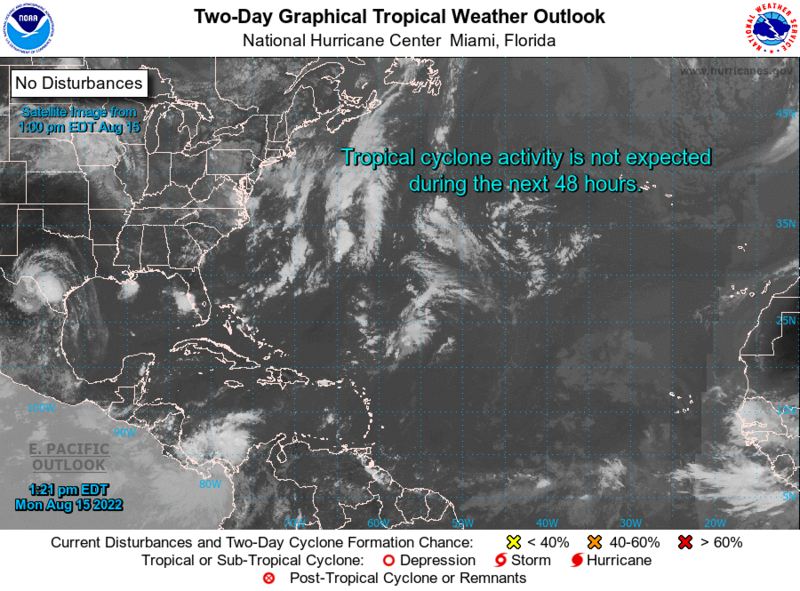 A Hurricane Hunter crew is en route to investigate the system and we will know more by 5pm ET about what is happening and whether or not a depression or storm has in fact formed. Interests from the Caymans, to Cuba and the Florida Keys should be prepared for squally weather with heavy rain and gusty winds at times as the system passes by. Later tomorrow it looks as though what ever this becomes will cross through portions of the Bahamas on its way out in to the open Atlantic. Also, part of the heat and moisture from the Caribbean connection to 93L will get pulled in to an approaching strong trough of low pressure – the one I mentioned in yesterday’s blog post – and is likely to bring a potent storm to parts of New England later this weekend. Tagged 93L, Bahamas, Cayman Islands, Cuba, Florida, Florida Keys. Bookmark the permalink.